In an inventive and controversial collection of essays, sociologist Susan Krieger considers the many forms of wealth, both material and emotional, that women pass on to each other. 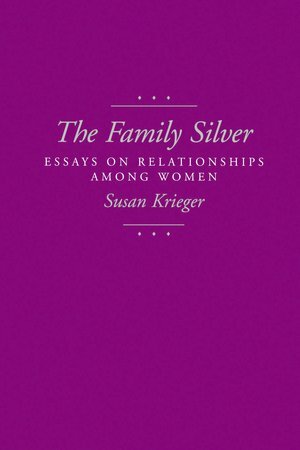 This domestic heritage—the "family silver"—is the keystone for a discussion of mother-daughter relationships, intimate relationships between lesbians, ties between students and feminist teachers, the dilemmas of women in academia as well as in the broader work world, and the importance of female separatism. Drawing on her experiences as a lesbian, a feminist, and a teacher, Krieger presents a stunning critique of higher education. She argues for acknowledging gender in all areas of women's lives and for valuing women's inner realities and outer forms of expression. Krieger has developed a distinctly feminist approach to understanding and scholarship. Her style is self-revelatory, emotional, and at the same time deeply analytical. Her essays pioneer a new method of locating, defining, and honoring female values. 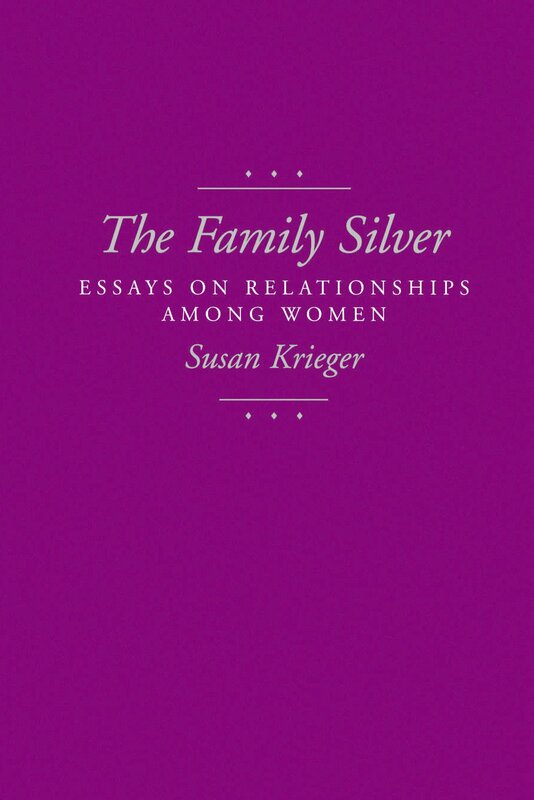 The Family Silver includes a thought-provoking discussion of gender roles among women, including the author's experience of being mistaken for a man; an exploration of teaching in a feminist classroom; and a description of the controversy that resulted when the author refused to allow a hostile male student to take one of her courses. Beautifully written,The Family Silver addresses issues of central concern to feminists, postmodernists, and queer theorists and encourages new insights into how gender profoundly affects us all. Susan Krieger teaches in the Program in Feminist Studies at Stanford University and is the author of The Mirror Dance: Identity in a Women's Community (1983) and Social Science and the Self: Personal Essays on an Art Form (1991).